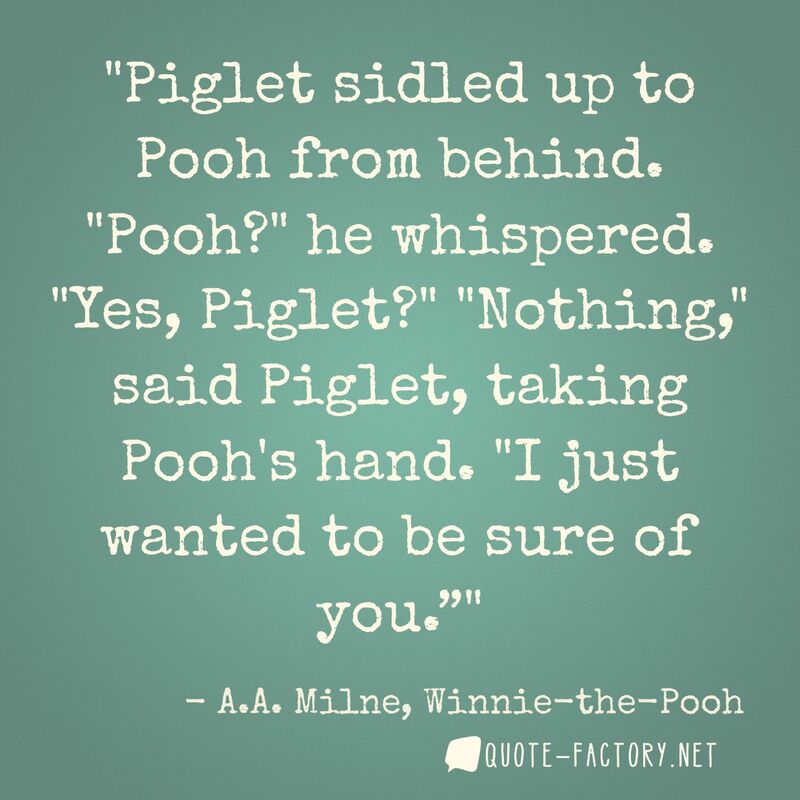 "Piglet sidled up to Pooh from behind. "Pooh?" he whispered. "Yes, Piglet?" "Nothing," said Piglet, taking Pooh's hand. "I just wanted to be sure of you.”"